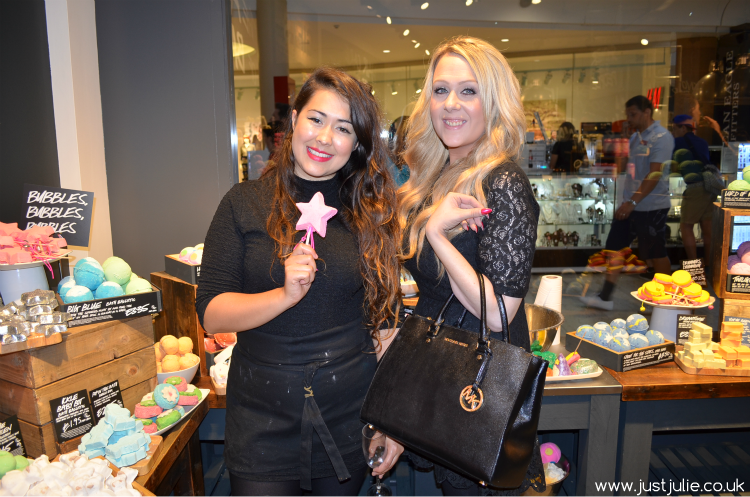 A few weeks ago I attended my local Lush stores VIP night in Bluewater. 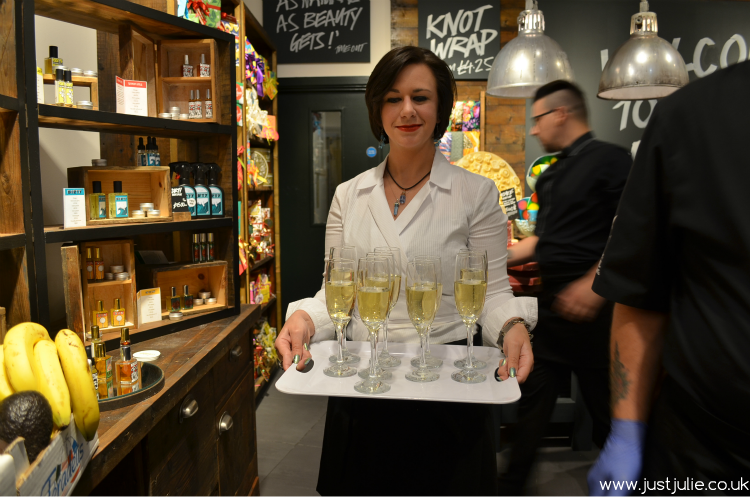 The store had been closed for a few weeks whilst it had undertaken a full refurbishment and a lot of Bloggers and some of their customers were invited to attend an exclusive VIP night before the doors were opened to the general public. Now I did take a lot of photos but there was so many people there that I couldn't really capture how amazing the refurbishment was through my pictures, but I assure you it looks amazing, and also looks twice the size than before. 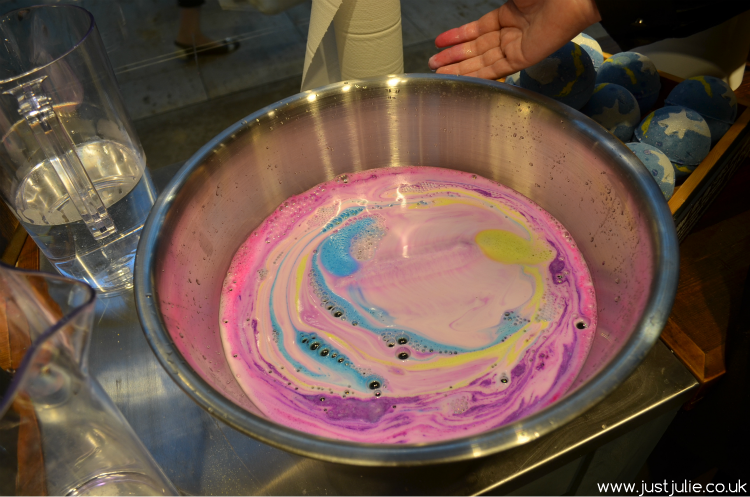 The way it's laid out really tells a story about Lush and is easy to navigate through too. 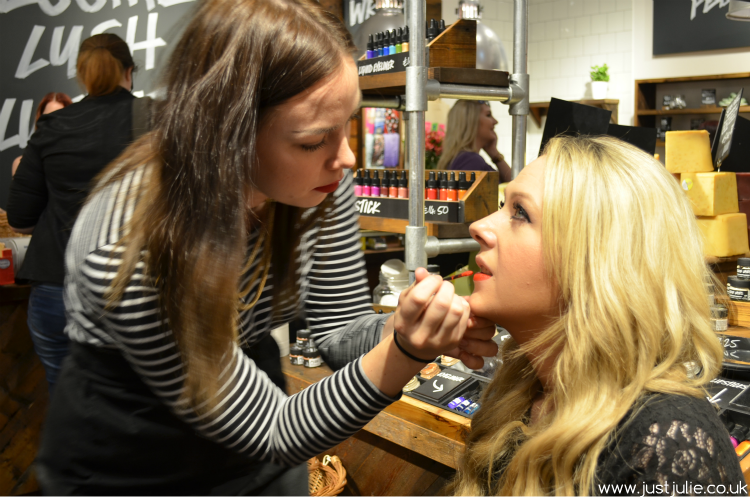 There were so many staff on hand to help you and offer advice on their products too. 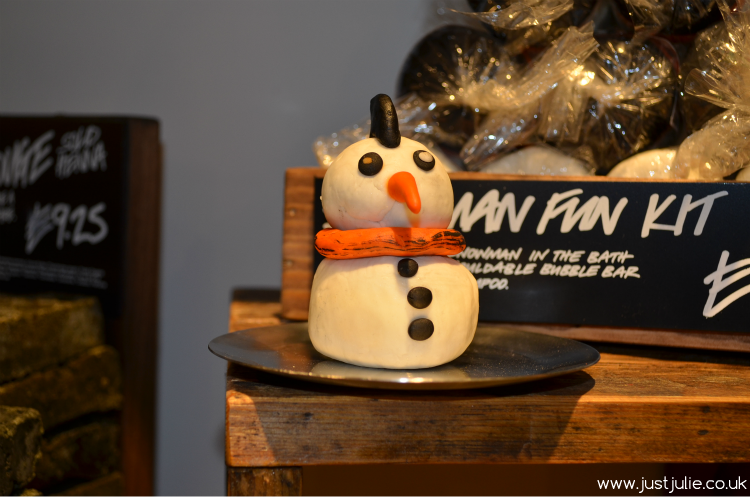 I have to say the Lush staff at Bluewater are amazing, some of the friendliest people I've ever met. 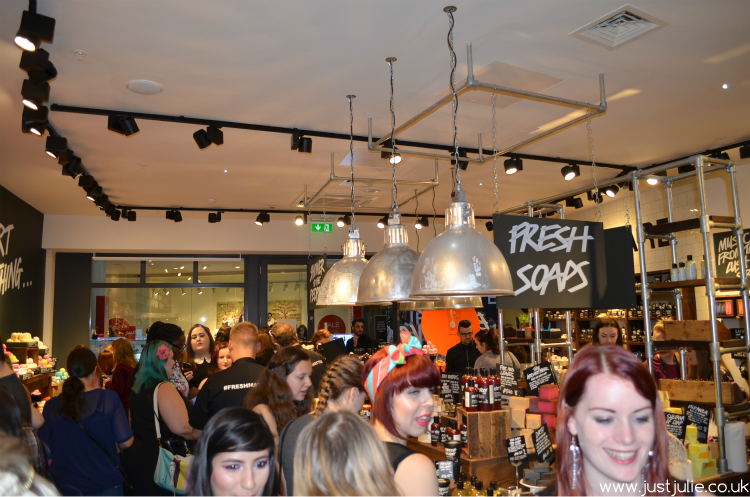 It's clear how excited they were about the night and also how much they love working for Lush, which I personally find so refreshing as I tend to believe in a brand and their product more when their staff are amazing ambassadors of the brand. We got to preview their fabulous Christmas products, try out their makeup and also make our very own comforter too, which BTW mine didn't turn out that great! There was champagne too, and if you know anything about me, you'll know I do love a little tipple every now and then so yes I had a couple of glasses! 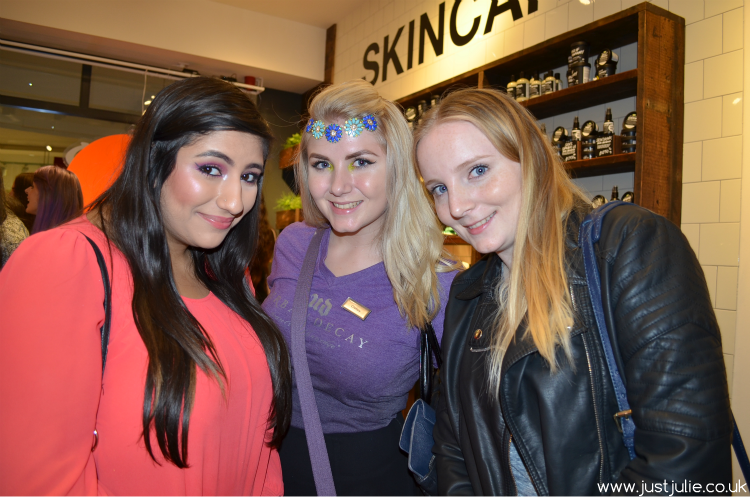 I met up with the lovely Laura who blogs at Lolly Lovesx and YouTuber Marina Petrou beforehand who I had met at my Bluewater Meetup and who are also good friends with my little sister too. The gorgeous Chelsey from Gold She Wears turned up a little later and met up with us as well. 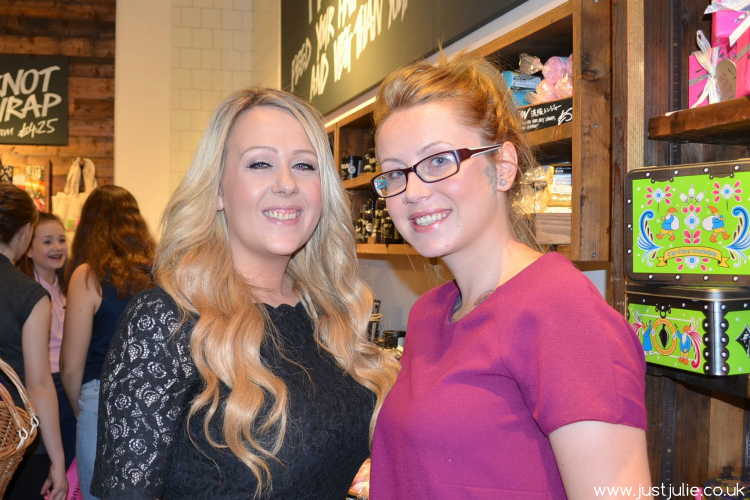 I bumped into Lulu from A Mummas Time Out, who also attended the Bluewater meet up. It was so nice to meet up with these girls again. 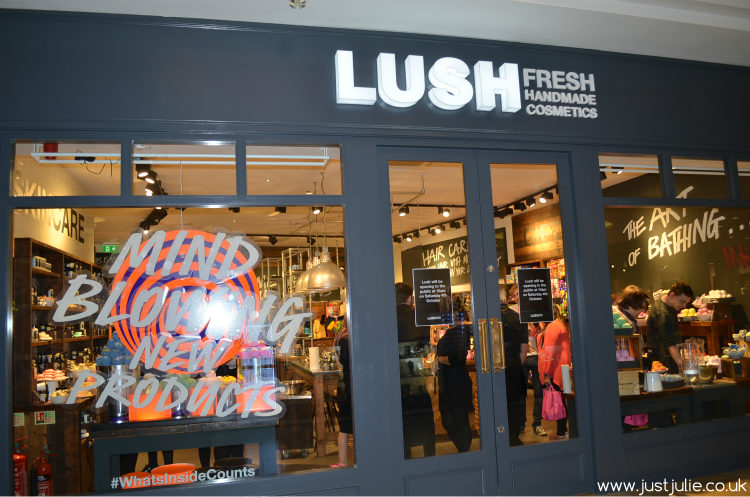 It was a fabulous evening, we all enjoyed ourselves so much and it was great to find out more about Lush and it's history too. 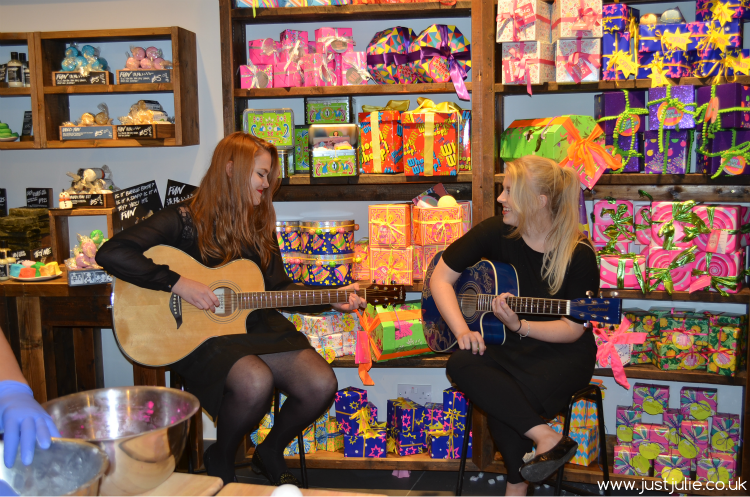 We were even spoiled with two of the Lush staff taking centre stage and singing a few songs, which was just amazing and really topped off the night. Of course no event is complete without buying a few bits too! I didn't realise until I got home that we were also given two products for attending, which was a nice little surprise when I opened up my bags at home! 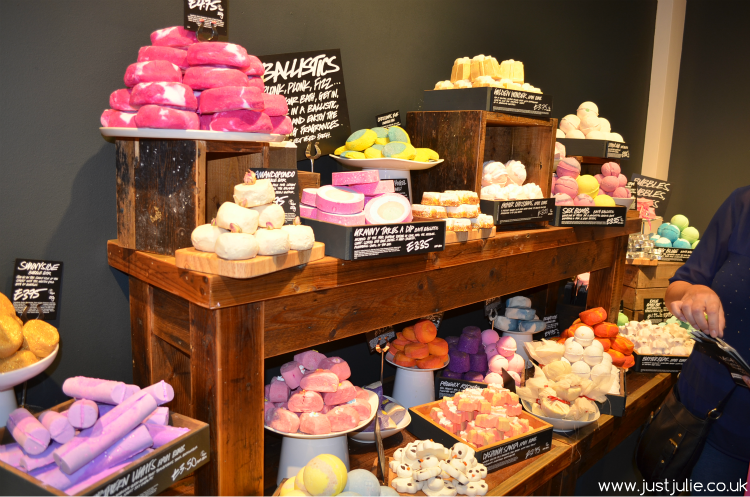 So I'm now officially sorted on the Lush product side for a while! 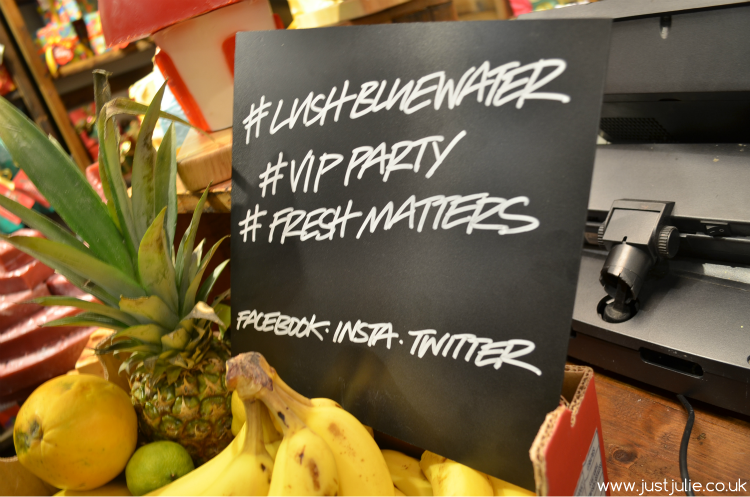 I'd like to thank Lush Bluewater for inviting me along, it was a fabulous night and I look forward to their next event!